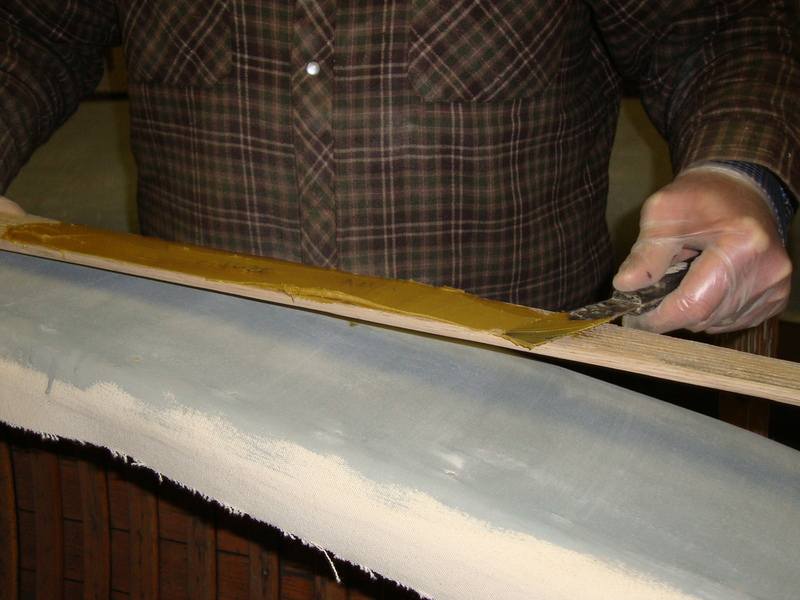 If there is an area of controversy in the world of wood-canvas canoes, the question of the keel would be it. Historically, canoes (and kayaks for that matter) never had keels. Edwin Tappen Adney documented hundreds of indigenous water craft throughout North America in the early part of the 1900’s. His meticulous notes, drawings and scale models are presented in the book “Bark Canoes and Skin Boats of North America”. It was compiled and edited by Howard Chappelle after Adney’s death. The canoes and skin boats range from small hunting boats around 11’ (3.35 meters) in length to large cargo vessels over 36’ (11 meters) long. None of these vessels had a keel. 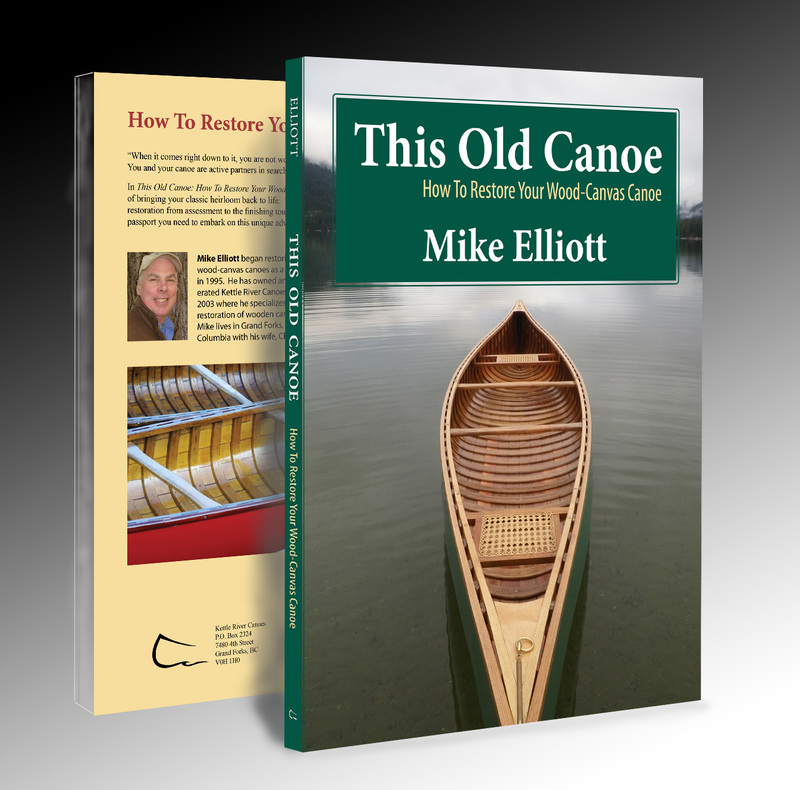 As people of European ancestry came in contact with canoes through the 1800’s and tried to build them, they tended to approach the task of boat building from a European perspective. For them, building a boat begins with a keel. The rest of the vessel is built around it. As canoes became a commodity for the general public, canoe builders also had to appeal to a market that didn’t trust a boat unless it had a keel. Many people unfamiliar with canoes feel unstable in them and have trouble travelling in a straight line. 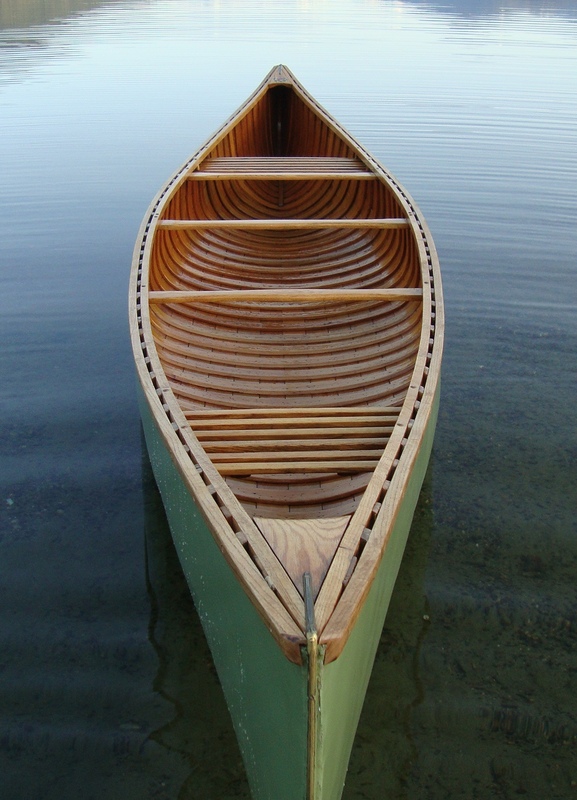 As a result, most canoes sold in the better part of the 20th century were equipped with a keel. However, it is interesting to note that true working canoes built at the same time (such as the Chestnut Prospector, Cruiser and Ogilvy) were usually keel-free. The Chestnut Ogilvy was designed to be stable. The wide, flat bottom allows a person to stand up in it all day long. A true working river boat, it never had a keel. Safe travel in rapid rivers requires a canoe that can side-slip easily to avoid encounters with large rocks. A keel makes this maneuver more difficult and puts the canoeist at risk. 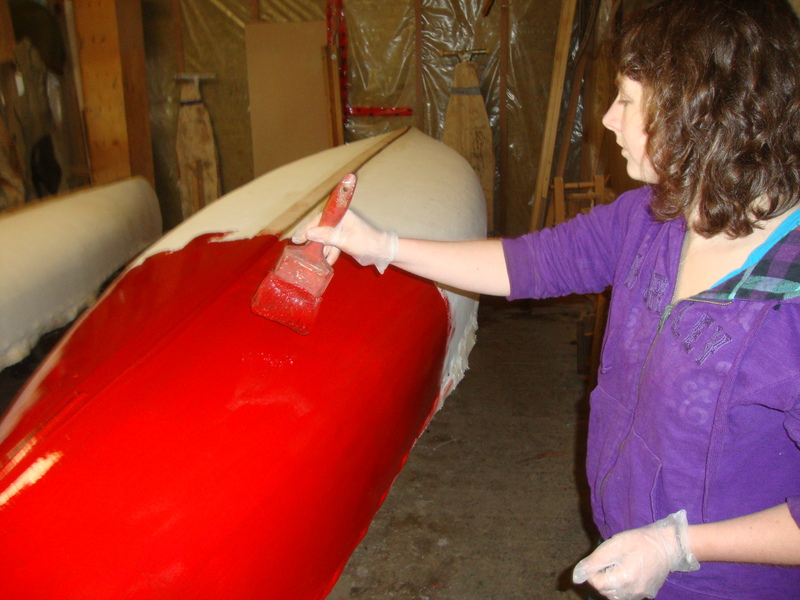 To look at it from a design perspective, the stability of a canoe is determined by the hull shape. 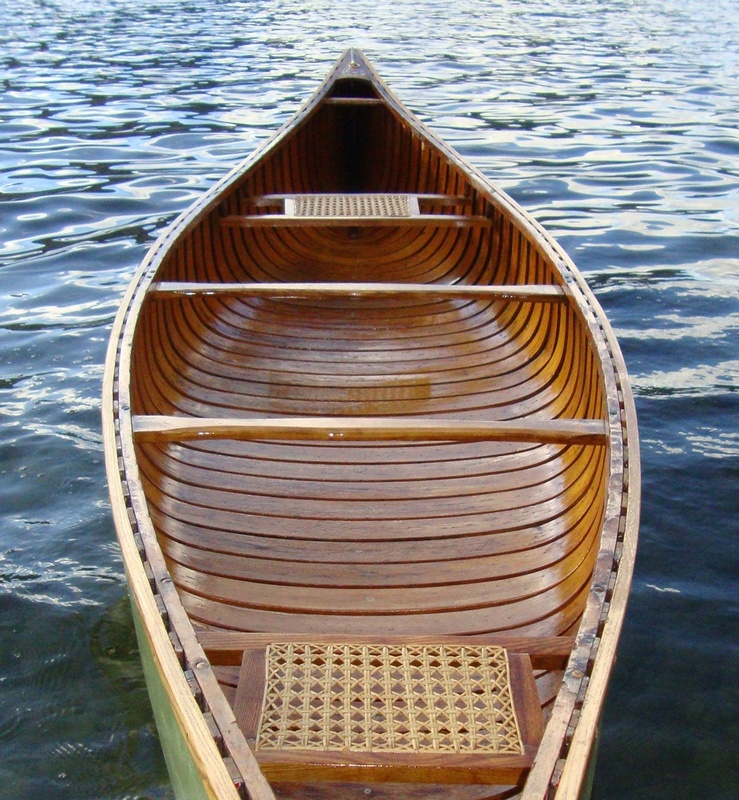 Wider canoes – 36” (90 cm) or more – with flat bottoms tend to have greater “initial stability”(feel more stable when you first get in them) than narrow canoes – 34” (85 cm) or less – with arched bottoms. What is gained in stability with a wide, flat bottom is lost in hull speed and vice versa (what is gained in hull speed with a narrow, arched bottom is lost in stability). Attaching a strip of wood an inch (2.5 cm) high to the bottom of a canoe does little to affect stability one way or the other. The Chestnut Prospector was designed to dance around rocks in rapid rivers. Although it has a more rounded bottom than the Ogilvy, the tumblehome and high sides in the centre of the canoe gives it very good “secondary stability” (gets more stable as you add weight to the canoe). When the Chestnut Prospector it is tipped over on one side, it becomes stable in that position. Also, the waterline width increases as more weight is loaded into the canoe. Greater width at the water-line equals more stability. Tracking – the tendency of a canoe to travel in a straight line – is determined by its length. The longer the waterline length, the better the canoe tracks in the water. Note here that I refer specifically to the waterline length rather than the canoe’s length overall. The hull of a Chestnut Prospector lifts dramatically at the ends. 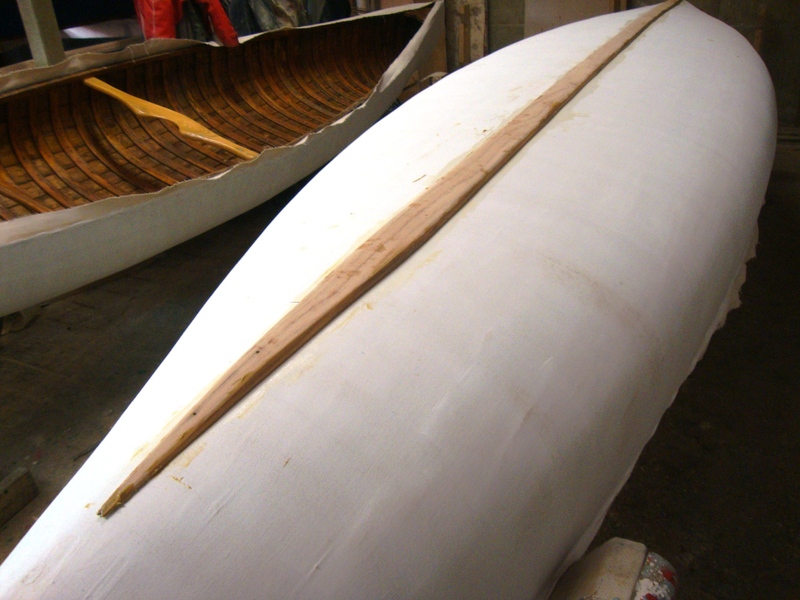 As a result, an unloaded 16’ (4.9 meters) canoe will only be about 14’ (4.2 meters) long at the waterline. What is gained in maneuverability in a shorter waterline length is lost in tracking and vice versa (what is lost in maneuverability in a longer waterline length is gained in tracking). If you are simply looking for a canoe that will travel in a straight line, get a long canoe – 17’ (5.2 meters) or more – with no rocker. If you want your canoe to be able to dodge rocks in a rapid river, choose a canoe with lots of rocker at the ends – and no keel. Functionally speaking, most canoes are designed to navigate rivers. The rivers of northern Canada present the traveler with many challenges – chief among them; rapids filled with large rocks. The Chestnut Pal was equipped with a “shoe” keel. At 3/8″ (9 mm) high and 2¼” (57 mm) wide, it provided protection to the bottom without interfering with the canoe’s ability to sideslip past rocks in rapid rivers. In lakes, many people complain that a canoe without a keel will be blown around by the wind. Again, it comes back to learning how to handle the canoe. When travelling on a large lake with the wind in your face, the canoe must be loaded with a majority of the weight in the forward half of the canoe. It will always tend to “weathervane” – that is, it will orient itself with the lighter end downwind. As long as the weight of the canoe is slightly upwind, the canoe will track easily into the wind. Speaking as a canoe restorer, I wince slightly whenever I finish preparing a beautifully watertight canvas cover and then proceed to drill a dozen or more holes straight down the centerline of the canoe. I solve the watertight issue by using a top quality marine bedding compound to set the keel. Eventually, the bedding compound dries out and/or the keel is jarred by one too many encounters with rocks in rivers. When the seal is broken, the canoe begins to leak. It is difficult, if not impossible, to remove the keel without damaging the canvas. Therefore, when the canoe starts to leak, it is usually time to for a new canvas. If the question of keels in canoes were strictly one of form and function, there would not be a discussion – a canoe is a water-craft designed to travel on rapid rivers, and as such, is better off without a keel. You only have to look at any modern Royalex or Kevlar canoe on the market. None of the canoes built today have keels. 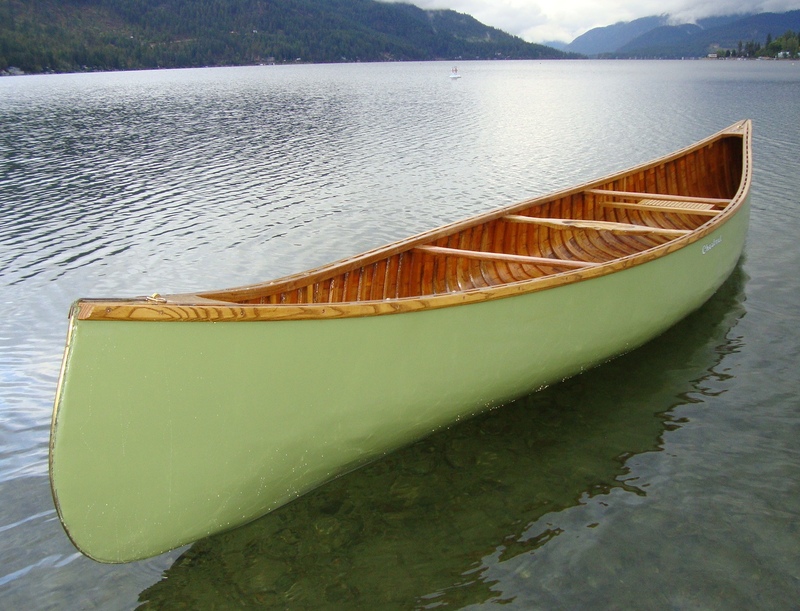 However, in the world of wood-canvas canoes, there is more to consider. Many people have grown up with their canoe. It is part of their life and part of their family. Their canoe has had a keel for fifty years, so it seems only natural that it stays that way. In this context I say, “Fair enough.” It turns out that wood-canvas canoes are more than form and function. They must be seen in the context of family history and tradition. For this reason, I have no problem re-installing a keel in a wood-canvas canoe. VERY interesting article, Mike! I removed the 1″ keel from my 45 year old Tremblay Apache about 20 years ago and haven’t reached the replacement stage in my shamefully slow restoration project…but after reading your blog, I think I’m going to compromise with a shoe keel, just to provide the added protection to the “keeless” option. Thanks! This article answers the question I was wondering about. I think I’ll go without a keel once I start the restoration on my canoe. Someone in the past added a large keel to mine and the person I bought it from still spent more time in the water than in the canoe so it didn’t help him any. moving from Ontario to BC recently I noticed far more keel canoes in BC with some folks surprised to see a keel-less flat bottomed..one.. I put it down to keels track better in Ocean paddling. There was a canoe builder in BC from the mid 1930’s to the mid 1970’s (Bill Greenwood). Bill copied canoes built by The Old Town Canoe Company in Old Town, Maine. Their canoes, and subsequently his canoes, all had keels. As stated in my blog article, customers did not trust a boat unless it had a keel.